KTM launches track-only version of its sensational X-Bow for customer racing in professional motorsport.� The new KTM X-Bow 'Race' features 30 modified or new components. During the autumn of 2005, KTM CEO Stefan Pierer and Gerald Kiska, CEO and founder of the KISKA design studio, met for a routine meeting in Salzburg.� The result was the beginnings of a visionary, seminal automobile project.� Against the background of the worrying state of the European motorcycle market � fewer drivers held a motorcycle licence compared to earlier years � were the brightening prospects of a widening window of opportunity appearing in the market for �pure� sportscars.� Sportscars that, with a clear vision aligned to the KTM philosophy, �ready to race�, and clever engineering, might be able to deliver the excitement and immediacy of motorcycling � on four wheels rather than two. The meeting was a success and the lightweight, high-performance KTM X-Bow was conceived.� The �fathers� of X-Bow moved quickly, commissioning an in-house �test mule� to prove the validity of their concept and, in January 2006, began talking with Italian racing car- and sportscar specialist Dallara about the feasibility of KTM�s plan for developing such a road car.� KTM celebrated the world premiere of its first-ever car at the Geneva Motor Show in 2007 when the X-Bow was officially born.� The company sounded out the exclusive lightweight sportscar market with an aggressive design and a spectacular concept, complete with carbon fibre monocoque and the minimum of purist fittings. Extensive market research was undertaken and, following an overwhelmingly positive response from sportscar enthusiasts and motoring media all around the world, the decision was made to go ahead with further development for the series production model of the KTM X-Bow.� On the anniversary of that world premiere, KTM exhibited the production-ready version of the KTM X-Bow for the first time at the 2008 Geneva Motor Show.� From this point on, progress was rapid.� KTM had already started building a production plant in the Austrian �motor city�, Graz, and at the same time as the Automobile Salon in Geneva, assembly of the first prototype cars began.� Series production started on 16 June, the first customer took delivery of his X-Bow on 5 August. 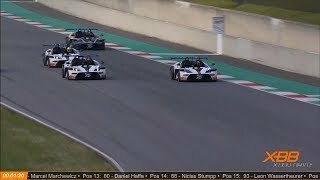 At the end of September 2008, the next milestone in KTM�s young car division was reached: the first KTM X-Bow �Race�, a fully FIA homologated GT4 Sports Light racing car, rolled off the assembly line in Graz.� This new �Race� model incorporates all the lessons learned during the X-Bow�s first season of professional motorsport in Europe.� Compared to the standard road car, the X-Bow �Race� features 30 modified or new components.� The �Race� model costs �82.900 ex-works and excluding national taxes � and customer deliveries are scheduled to begin in January 2009. Motorsport is very important for KTM, as indicated by the company slogan �Ready to Race�.� It was therefore entirely logical that at the same time as the plans for the series production were developing, KTM was planning to run the X-Bow competitively on the racetrack.� Together with Dallara, KTM developed its own racing version, with the cars being run in the GT4 European Cup by German race team, Reiter Engineering.� The decision by KTM to place the racing premiere of X-Bow in the hands of Reiter, rather than enter the championship with an in-house, factory-run operation, allowed KTM to use the GT4 entry as a pilot project to �power� development of future customer motorsport applications as well as the production model. As with the production road car, KTM drew on the vast expertise of world-renowned Italian racing driver Loris Bicocchi in the development of the X-Bow �Race� car.� He has been heavily involved in the X-Bow programme from the outset as test driver and played an important role in its chassis and dynamics tuning.� Biccochi�s motorsport experience includes the testing, development and racing of many of the world�s most prestigious supercars � including the Koenigsegg CCR and the Bugatti Veyron. In retrospect, KTM can say that the X-Bow first saw the light of the day on a racetrack.� Although conceived as road car, racing DNA is at its core and motorsport was a logical step.� Together with the experienced Reiter Engineering GT team, KTM soon found the GT4 European Cup run by the SRO and Stephane Ratel as the ideal racing series for the X-Bow.� Racing in the Sports Light category, KTM faced opponents from Lotus and Donkervoort, but the X-Bow also took on the immensely more powerful teams in the primary GT4 European Cup series, with their Aston Martin N24, BMW Z4 M, Ford Mustang or Nissan 350Z cars. The changes made to the GT4 racing X-Bow (compared with the production model) are predominantly related to additional safety equipment demanded by the FIA regulations.� The rollover bars are made of steel instead of aluminium; additional layers of zylon fibre are fastened to the flanks of the monocoque to enhance side-impact protection and prevent the penetration of sharp objects; the exhaust system has a racing cataytic converter; the mudguards are extended; and there is added side-impact protection between the front and rear wheels (to prevent tangling with other cars). These modifications are so minor that they highlight the fundamentally sporting design of the X-Bow, confirming that even the road-going model has the soul of a racing car.� In fact, the GT4 KTM X-Bow complies with the FIA crash-regulations (Article 258a) and meets the same safety standards as dedicated open wheel and ALMS-race cars. Throughout 2008, competitive racing provided important feedback in the final phase of the series production car development.� It also served as a trial run for the future �KTM Customer Racing Service�, and for the development of the customer racing version of the X-Bow. KTM had great expectations for the car�s first season and the private Reiter Engineering entry received significant assistance from KTM, with both companies keen to capture the inaugural Sports Light category championship.� Despite the high hopes, the achievements of the car�s first season still came as a welcome surprise. After pre-season testing at Monza and Nogaro, a pair of X-Bows made a sensational competition debut at Silverstone (England) on 19 April 2008 � claiming 1st-2nd in-class finishes in both races and humbling many more powerful, more expensive GT4 machines. The pair of X-Bows went on to repeat their 1st-2nd in-class form at Monza (Italy) and even claimed a remarkable third place overall in a 50-minute rain-soaked race.� Only three race weekends later (Oschersleben, Spa-Francorchamps and Brno), KTM secured the title in the GT4 Sports Light category � with all three KTM drivers in the top three places overall. And on the final racing weekend in Nogaro, providing a sensational climax to the season, Christopher Haase claimed the X-Bow�s first overall pole-position ahead of the more powerful GT4 racers.� The young German driver then exploited his excellent qualifying performance to clinch overall victory in the GT4 Sports Light European Cup, ahead of team mates Dennis Retera and Catharina Felser. Through its new Customer Racing Service, KTM aims to write a new chapter in national and international motor racing, by providing everything a racing enthusiast needs to take part in professional motorsport.� �CRS� customers from all over the world will be able to race their own X-Bow �Race� in professional-level motorsport, with support from a dedicated team of KTM race technicians. 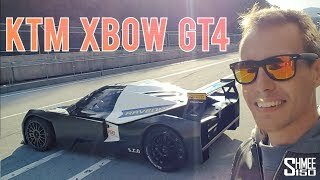 Running a KTM X-Bow �Race� is simple and cost effective.� The minimalist concept of the car means that it is extremely easy to maintain and offers significantly lower running costs than competitor cars.� Taking into account all �wear and tear� parts, tyres and fuel, the typical cost of running a X-Bow in GT4 is just �3,000 per race. As well as creating the CRS and working to make customer entry into GT racing even easier, KTM hopes to introduce a �Sports Light� category in each country that hosts a national GT racing series.� In addition, expansion to higher racing classes is planned � so that KTM customers are not only �Ready to Race� immediately, in GT4, but also have the opportunity to achieve longer-term ambitions within a sustainable and progressive motorsport programme. The CRS was designed with the idea of making entry to professional motorsport easy and affordable, with prices for one season�s GT4 racing only costing around �100,000 (based on four race cars minimum in one support structure).� This figure is based on eight GT races � six in the GT4 European Cup and a further two in a national GT4 championship � and includes full service of a customer�s own car, transport, race service by specialist race engineers, hospitality for customers and team, spare parts (excluding crash-damaged parts), tyres, fuel, and driver and team wear. KTM is very keen to expand the Customer Racing Concept to include other countries.� This could include a KTM X-Bow customer cup �East� (Czech Republic, Hungary, Slovakia) and a customer cup �Middle East� (Dubai, Bahrain, Qatar). 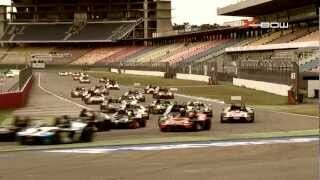 Drawing on experience from KTM�s championship-winning first season of four-wheeled motorsport with the X-Bow, the new �Race� model features 30 modified or new components � compared with the standard road car.